For small children, games provide an easy way to learn the first lessons in group. These games dwell upon the cultural innuendoes. The children learn to take turns, follow the rules and share their pleasures with others. Through games, the pre-schoolers can manipulate, organize, rapidly change and re-arrange a smaller world of their own. The pre-school children enjoy crude, simple, expressive and involving games. They begin to socialize. In pre-school games an adult must lead them and should remain with them whether indoors or outdoors. A circle is formed with the children holding their hands and the teacher standing in the middle. She throws a ball to a child and calls its name. The child receives the ball and calls the teacher back. This continues until all the children are covered and later the children can play this game among themselves. This introduces the children among themselves unknowingly. The teacher sings the song," Fire in the jungle, run, run" and the children run in a circle holding hands. Suddenly the teacher utters a number say between 2 and 5 and the children immediately group themselves to that number. Those left out are out of the game and the game continues until one child remains and he is the winner. Children are divided into two equal numbered groups and they are given individual numbers in their respective groups. At a distance of 10 feet away some item like a kerchief is kept. When the leader calls a particular number, children of that particular number, come forward from both the groups and they fight for the possession of the kerchief. 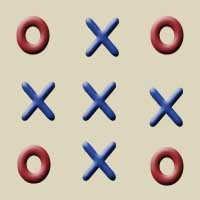 One who gets it adds one point to his team and the game continues like this for all the members. All the children sit in circle. One child is selected and is asked to get a little away. In the meantime the remaining children select a leader. The group has to repeat the actions done by the leader without giving hint of who is the leader to the child who has gone away and has now returned. If the child is not able to find the leader with the actions done by the group changing, then he will be given a punishment like, asked to sing a song, etc. The children select a "Den", a child from the group and spread out and some are to be on the stone floor and the rest on the ground. The children will ask the "Den" whether "stone" or "mud". If the den says stone then he has to catch those standing on the stone floor. The first one caught will be the next den. A pile of tamarind seeds or some other small seeds are put in the center. Each child picks a handful and if the count is an even number, then he can have it for him and if it is odd, he has to return it back to the pile. In the end which child gets the maximum number of seeds is the winner. The children stand in circle and the inside of the circle is assumed to be water and the outside land. When the leader says "Water" all of them should get into the circle and when said" Land " all of them must get outside the circle. The leader tells " water " and "land " very fast and those who fail to land in the proper place are out of the game. The one who remains to the last is the winner. As many circles as the number of children is drawn and 5 stones are placed in it. 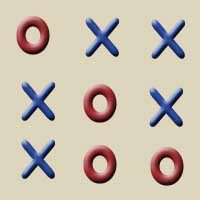 Then opposite to the circles, squares are drawn and 5 sticks are placed in it. When the whistle is blown, the children standing in the circles take a stone and run to the square opposite, place it there and bring a stick from there and place it in the circle. This is repeated for all the stones and sticks, and the one who finishes first is the winner. The children sit around a table and the teacher shows them some objects like doll, book, pen, etc. Then one child is asked to go out and an object is removed from the collection. The child has to come back and find the missing object. The group helps the child by clapping loudly when it comes near the object and when far, they clap slowly. This helps the kid to find the object. This is a group game where children sit in circle with knees folded and bending upwards. The leader recites the lines above, and the knee, when the last word ends, is free. Both the knees are involved. The person whose both the knees get freed first is the winner. The verses are repeated and the game goes on till everyone is free. Children sit in circle and sing this song. Two children go round the circle one catching the other. The one catching can tap the head of any child who gets up and the other sits, and now this child starts catching the running child. Once caught the child is out and the game continues for the other kids. Children sit in circle and the leader says some birds name and utters ka ka para para. Immediately the kids start flapping their hands like wings. The leader may say some other object name with ka ka para para when the children are not supposed to do anything. If anyone does something like flapping the hands then he is out of the game and the game continues. Two children play this game. One child builds a bund with mud and inserts a small twig inside the bund somewhere, which the other does not know, and he has to guess the exact location. The bund is divided into 5 sections and the opposite child has to find out which section has the twig. When he points to a section, then that section is flattened to see if the twig is there. Likewise the child is given 3 chances after which when the twig is located the child begins to build a new bund for the next to play. All the children sit in a circle and the first one utters some word or sentence to his neighbor. Then that kid tells it to the next one in a clockwise direction what he heard. Then the last child is asked to tell the word and the real fun is to see how the word has got twisted in the middle. This is played on the ground or in a piece of paper. They select knots and crosses for themselves. 9 squares are drawn and they take turns to fill the squares with the knots and crosses. Whoever gets his symbol in a row or column or diagonal fully first, becomes the winner.